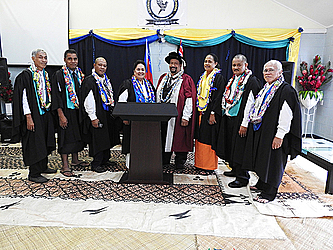 The Tuamafa Adventist Theological College celebrated its first graduation at Vaivase-uta, S.D.A. Church, last week. The institution was established in 2014 by the Saturday Seventh-day Adventist Church, Samoa. Themed “Educate to Serve”, the guest speaker was the Head of State, His Highness Tuimaleali'ifano Vaaletoa Sualauvi II. His Highness Tuimaleali'ifano thanked the school for a job well done and challenged the graduates to live in accordance to the teaching of the school. Seven students graduated from three schools: two in Leadership and Administration, two in Ministry and three in Theology. 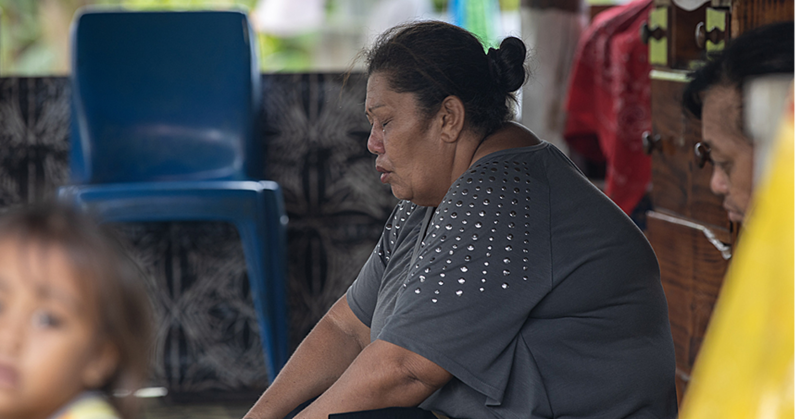 They will be called to pastor the nine parishes of the church in Samoa and four in Australia. Other speakers of note included Pastor Dr. Jerry Afamasaga-Puni (President of Church and Head of Tuamafa Theology Department), Pastor Dr. Teleiai Sapa Saifaleupolu (Acting Head of Tuamafa College), Moananu Patolo Setu (Chair of Tuamafa College Board) and Pastor Tupou A Lauifata Te’o (Leader Saturday S.D.A. Church Australia). “We give glory to God and thank all our church members for their hard work and support that has made this day possible and we wish the graduates the best for the future,” Pastor Dr. Jerry said. Pastor Jerry says the full Samoan name of the college is “Tuamafa Fili Malae”. “Tuamafa is an old and wise pigeon and he is the leader of the flock of pigeons and it flies where it will and the others follow,” he said. “Fili Malae means he seeks and decides fields for safe landing, hunting and rest. He looks for home and/or new beginnings or mornings. 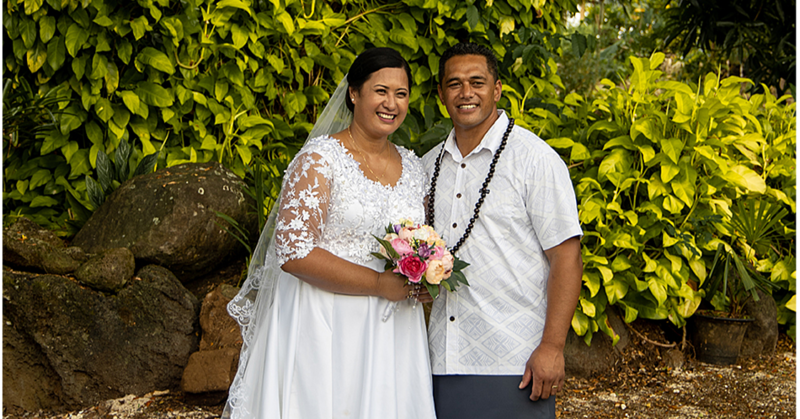 “To this end, Tuamafa College was established by the Saturday Seventh-day Adventist Church, Samoa, for the furtherance of God’s Kingdom and for a new beginning for the Adventist church in Samoa. “According to the biblical story (Genesis 8:11), a dove was released by Noah after the flood in order to find land; it came back carrying an olive branch in its beak, telling Noah that, somewhere, there was land. Christians used Noah's dove as a peace symbol. 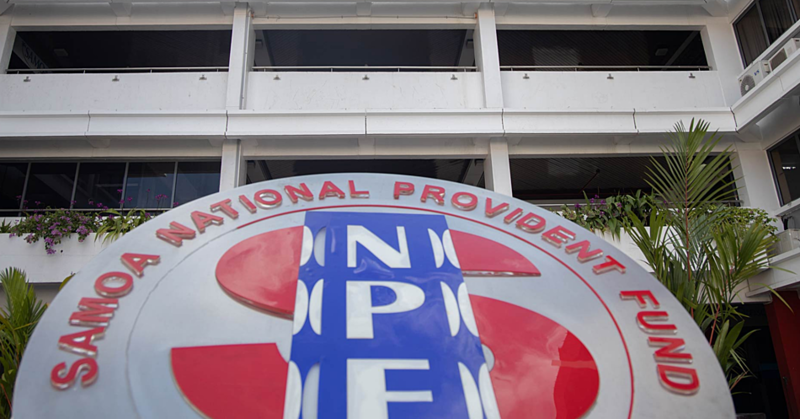 The college will open a new branch in Sydney, Australia, come February next year.